PennsylvAsia: Chinese documentary Three Sisters (三姊妹) at Carnegie Museum of Art, January 26. Chinese documentary Three Sisters (三姊妹) at Carnegie Museum of Art, January 26. Not for the faint of heart or weak of bladder, Wang Bing’s two-and-a-half-hour “Three Sisters” documents extreme poverty in rural China with the compassionate eye and inexhaustible patience of a director whose curiosity about his country’s unfortunates never seems to wane. Filming for six months in a remote hillside village in 2010, Mr. Wang follows the spirit-crushing lives of a short-tempered peasant and his three little daughters. 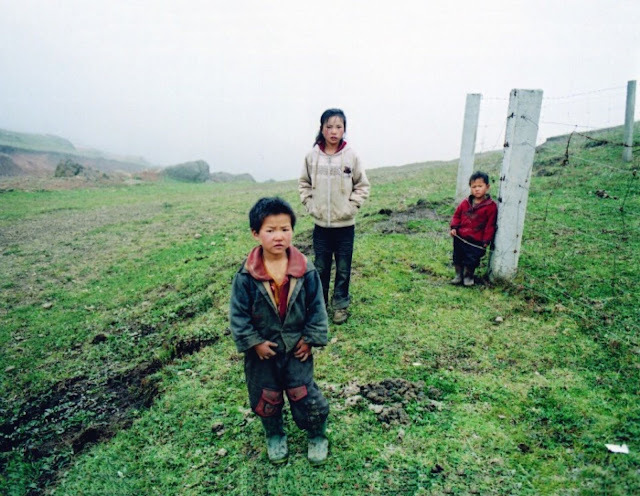 Their mother ran off long ago, and now Yingying, 10; 6-year-old Zhenzhen; and Fenfen, 4 — all so malnourished that they look years younger — spend their days doing chores and herding sheep. But when their father leaves for a job in the city, taking the two youngest girls with him, Yingying is left alone. A grandfather and an aunt live close by, but the girl’s isolation and sadness suggest a poignant hopelessness, as though she has reached the age at which she has begun to notice a future. And it’s not pretty. The movie plays from 4:00 to 6:30 pm. The museum is located at 4400 Forbes Ave. in Oakland (map), accessible by buses 28X, 58, 61A, 61B, 61C, 61D, 67, 69, 71B, 71D, 75, and P3.